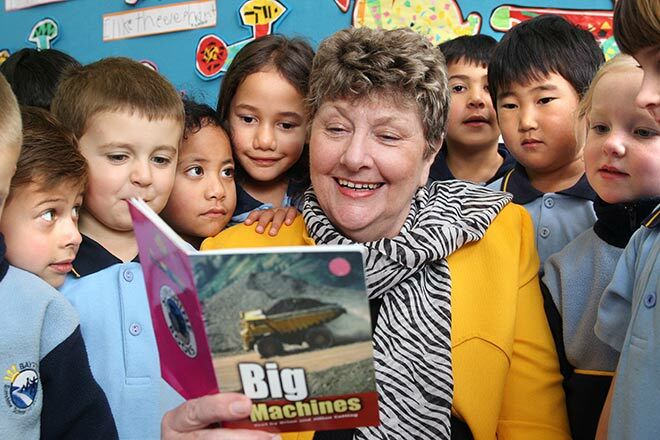 Wendy Pye reads one of the books published by her company to a group of attentive school pupils. After losing her job in 1985, Wendy Pye went into educational publishing with her line of Sunshine Books. In 2010 her firm had eight offices worldwide, with most of the earnings coming from overseas sales. The main areas of focus for her company were early reading and mathematics. In the 2000s Wendy Pye was one of the richest women in New Zealand.